The following is from a Reddit user claiming to have taken a survey for Mass Effect 4 revealing story, gameplay, and missions details. There was also a Dragon Age survey around this same time last year, which ended up being the real deal. Sometimes I take surveys online for a little extra money. Throughout the story, you will recruit seven distinct crew members to fight by your side. Each crew member has a unique personality and specific abilities that open up strategic options as you choose which two of them to bring into each mission. For example, Cora has the ability to deploy a biotic shield that protects everyone in the bubble while still allowing you and your squad to fire out of it. Your crew will grow alongside you as you explore the Helius Cluster, and you can choose how you upgrade your crew’s weapons, gear and abilities to increase their individual combat effectiveness. Create the perfect squad to react to any situation and to support your preferred gameplay style. Your crew members aren’t merely hired guns – they are part of the living universe in the Helius Cluster that develops in response to your actions and choices. Increase each crew member’s loyalty by pursuing missions that are important to that specific character. For example, when a Krogan colony ship has been stolen by one of the outlaw factions leaving the colonists stranded without resources to survive, your Krogan squad mate, Drack, is determined to strike out against them. If you take the mission and help him track down the outlaws’ hideout to return the ship to its rightful owners, Drack’s loyalty toward you and your squad will increase and Drack will unlock a brand new skill tree. Explore each individual’s backstory and develop your relationship with them through conversations and unique missions. True to Mass Effect, what you choose to say will directly affect your crew’s loyalty and relationship with you, and will open up different conversations and narrative opportunities at the end of the game depending upon how you approach each encounter. The Helius Cluster is 1000s of light years across, and you can’t be everywhere at once. As you develop more colonies, resource bases and settlements, you have to be able to keep them safe. Spend resources to recruit mercenaries and develop an AI controlled Strike Team that you can deploy to take on randomly generated, time-sensitive missions. Strike Team missions take many forms, including settlement defense and Remnant artifact recovery, which will take real-time to complete. Send your Strike Team out on a mission while you continue playing the main game and they will return, 20 – 30 minutes later, having gained rewards such as XP, currency and equipment based on the success of their mission. Spend money and resources to train your Strike Team and acquire better gear for them, which will increase their success rate and allow them to take on more difficult missions for greater rewards. When you encounter a Strike Team mission in the Single-Player mode, you can leave your Strike Team at their base and decide to tackle the mission yourself with your Multiplayer roster of characters. You also have the option of tackling the mission by yourself, or recruiting up to three friends to play with you. The more friends you bring, the greater the challenge and the greater the reward. These missions will play out using the Next Mass Effect’s multiplayer Horde mode (more details on this later). These missions will include a variety of thematically appropriate objectives, like defending a Settlement against Khet attacks, or recovering a Remnant artifact off of a planet before an outlaw gang gets there first. By taking an active role in strike team missions, you can earn special Single-player rewards in addition to the usual multiplayer specific characters, weapons, weapon mods, and pieces of equipment which can be customized between missions. Additionally, players who join another person’s Strike Team mission will receive bonus in-game currency and multiplayer XP for helping others with their missions. The next Mass Effect’s “Horde” multiplayer pits you and up to three of your friends against waves of enemy troops on various battlefields throughout the galaxy. Players fight together to survive increasingly difficult enemy attacks and accomplish objectives, like disabling a bomb near a colony base or assassinating a target. Progress through multiplayer missions to gain XP and earn new multiplayer specific weapons, characters, weapon mods, and pieces of equipment, which can be customized between matches. Multiplayer play will also earn you APEX funds (in-game currency), which can be used to purchase items and gear in the Single Player game. Search solar systems for rare habitable planets to establish a settlement that could serve as a base for humankind’s new home in the Helius Cluster. As you build permanent settlements, you will make strategic choices on where to focus your new base’s resources. For example: Recon Settlements will clear fog of war from the space map and give the player more strike team missions to choose from, while Mining Settlements will periodically supplement the player’s supply of crafting materials. 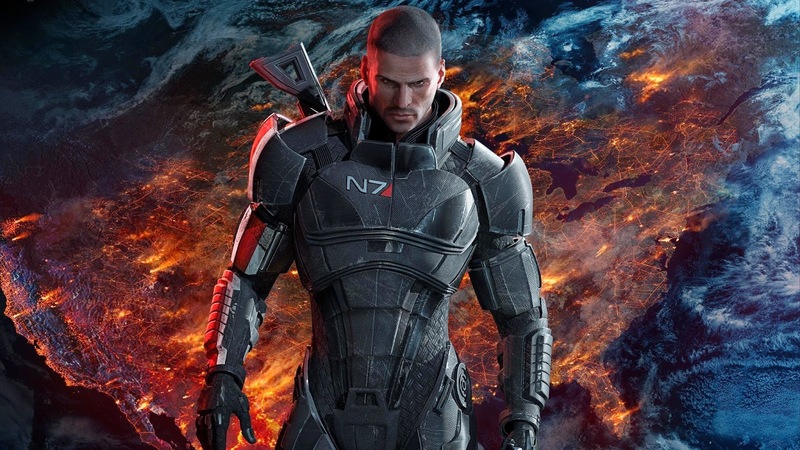 Building upon the rich history of strategic dialogue that has defined the Mass Effect series, you can make meaningful choices in every conversation you have with characters that impact the way your game evolves. The next Mass Effect adds deeper control over your conversations through a greater ability to interrupt and change the course of the conversation as it is happening. During certain conversations, you will be able to take action based choices, such as the option to pull out your gun and force someone to open a door instead of convincing them to do it through conversational guile. Action based choices give you more options for how you approach dialogue with characters in the game and can lead to more extreme outcomes on the story as it evolves around the decisions you make when interacting with a huge cast of NPC characters. As you pilot your space ship, Tempest, across the 100s of solar systems that are seamlessly connected in the next Mass Effect, you will encounter new planets filled with valuable resources, intelligent life, conflict, and alien technology that all give you opportunities to increase the power of your character, your ship and your team so that you can build them into a force that perfectly suits your gameplay style. Transitions between activities, like flying your Tempest (space ship) across a solar system to land on a mineral rich planet, then jumping into your Mako (land vehicle) to explore the surface of planet, all happen smoothly without loading screens. Discover new things in Andromeda Galaxy, like alien artifacts and natural wonders, that serve as trophies and decorations that you can use to modify the look of your character, Tempest (Space Ship) and Mako (land vehicle). Customize the way your squad and your character look with clothes and aesthetic modifications that you unlock throughout the game. Photos you take from the far reaches of the galaxy can be used to decorate your starship or sold to certain characters. Remnant Vault Raids: Find and activate Remnant Monoliths to unlock Remnant vaults. Explore abandoned Remnant ruins to find and locate a powerful artifact, but once you remove it you will trigger the vault defenses that will arm traps, activate defense robots and even change the architecture of the vault itself to stop you from escaping. Fight your way out of the vault and you will be rewarded with valuable loot, including powerful gear, crafting resources and Star Keys that can be used to unlock massive orbital facilities in space that grant permanent stat bonuses. Optional Elite Remnant Vault Raids are scattered around the Helius Cluster located in special orbital facilities that are unlocked by Star Keys. Similar to the standard Remnant Vaults, you enter them to retrieve a special artifact which will trigger the vault defenses that arm traps, activate defense robots and change the architecture of the vault itself to stop you from escaping. However, Elite vaults ratchet up the difficulty of the encounter with increasingly powerful defense robots and traps, as well as roaming outlaws and deadly Khet patrols that are also in search of the elite artifacts. Elite Remnant vaults will test the limits of your combat and puzzle solving acumen, but with greater difficulty comes greater rewards. Gain rare loot, narrative acclaim and huge rewards for completing these daunting challenges. As you explore planets throughout the Helius Cluster, you will encounter Khet Outposts. These outposts are optional combat experiences where you enter the outpost and fight off waves of enemies. Destroy Khet outposts to earn XP, rewards and thwart their growing power in the region. Your allies will reward you with praise and increased narrative options as you fight to remove the Khet presence from the region. Explore the surfaces of 100s of planets in the Helius Cluster in your versatile land vehicle, the Mako. Whether you are looking for a place to set up a colony, searching for a Remnant vault or attacking a Khet Outpost, you will enjoy getting there in your Mako. Equip and upgrade your Mako in dozens of ways, like adding turbo boosters, upgrading your shield generator or adding a Hostile Detector to your radar to create the ultimate planetary exploration vehicle. Finally, get your Mako looking the way you want with a custom paintjob. They asked my satisfaction with each of those descriptions. You can choose for yourself whether or not to believe me. But please look at my posting history first. I'm no troll.